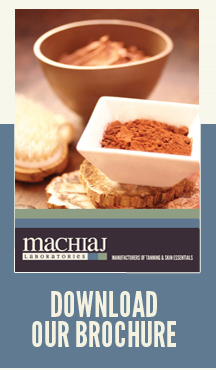 Machiaj Laboratories is a leader in tanning, skin care and body care. We are a cosmetic manufacturer in Melbourne, Australia, specialising in the production of safe, high-quality products - including organic and natural products. Our full-time chemists and chemical engineer work in our state-of-the-art private lab to create unique custom formulations and boutique batch sizes with short turnarounds. Few cosmetic laboratories in Australia are equipped to produce such premium products within such tight timeframes. Machiaj cosmetic laboratories have the equipment and expertise to produce tanning lotions, professional spray tan solutions, tanning foams, and tanning spray products. Our cosmetic manufacturers in Melbourne can produce a wide range of scientifically advanced lotions, creams, skin treatments, hair care, scrubs and body washes to your specifications. What sets us apart from many cosmetic manufacturers in Australia is our 30+ years of industry experience, which allows us to offer an unmatched level of customer service and expertise - no matter what your order quantity. Our manufacturing process is backed by extensive research and development, a commitment to quality control, complete client confidentiality, and a quality guarantee that ensures we meet your expectations. When you choose our cosmetic laboratories, you are choosing a loyal partner focused on helping your business grow and succeed. For more information on our services, please don't hesitate to contact our Australian cosmetic manufacturers' Melbourne office by phone, email or online enquiry form.